North America Forum»Forum ›Magerealm ›General Discussion › Guild funds? How do you check them? Guild funds? How do you check them? and how do you obtain them? 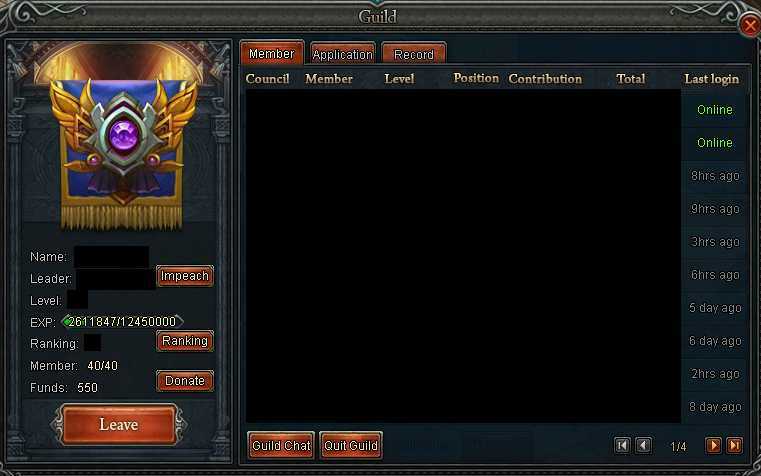 Open your guild panel from the button at the bottom of your screen, guild funds show on the bottom left of the panel just above the enter domain button. 2019-4-22 16:57 GMT+8 , Processed in 0.052714 second(s), 38 queries .